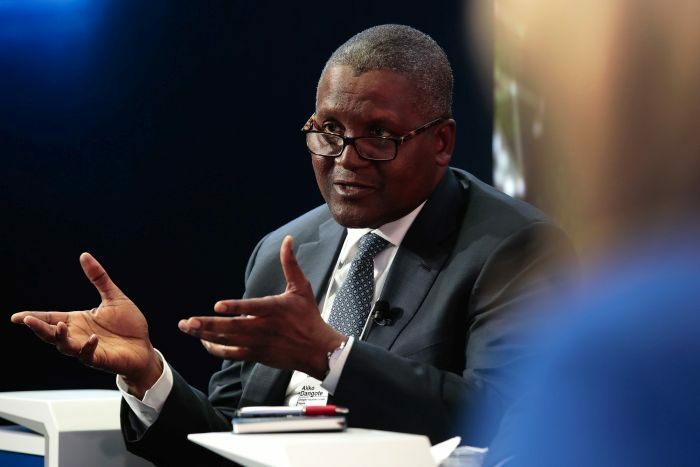 Africa’s richest man and President of Dangote Group, Aliko Dangote, said telecoms business in Nigeria thrived because of the initiative of former President Olusegun Obasanjo. Dangote said this at a business conference organised by the Gateway Partners in Singapore. The video of the conference was posted on Youtube and Facebook on Tuesday. The billionaire said government policies could either help businesses to grow or kill them. He, therefore, stated that it took the creativity of Obasanjo to give telecoms companies a tax holiday before they could make profit. Dangote added, “The telecoms industry wouldn’t have been successful especially in Nigeria when they came in. In Nigeria, we have a tax rule in which we don’t offer any tax holiday or any incentive to services but President Obasanjo was very very creative. That is the truth, not because he is here. I didn’t even know that he was here. “There was a claim that there would not be any profitability and he said you know what, ‘I am going to give you a five-year tax holiday’ even though it was not in the tax law but as a President he had the prerogative of approving a tax holiday which he did and that was what even allowed them to come in because the calculation was that the entire country, both land and mobile, we had 500,000 lines in 2000 and today, you are talking about 147 million lines.